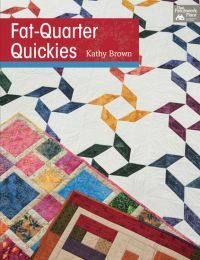 So many of my books are pattern after pattern, I love the idea of some themed essays from a quilter. The concept is intriguing! I will be sending her a copy of A Month of Sundays by Cheryl Arkison. 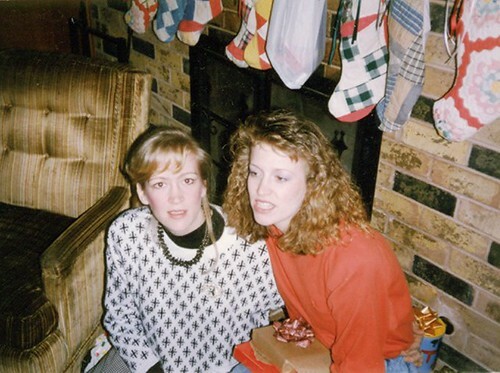 Many Christmases ago I received a gift from my sister in law. This gift was life changing. were suppose to be used together. I was a bit puzzled because I could not figure out what the 3rd part was. At this point in the game I already knew how to quilt, the old fashioned template way. Can you guess what the 3rd part was? rotary cutter arrived in the mail. That was the life changing part. came along was I truly inspire to quilt every single day. Fast forward 32 years and 300 quilts later and I still love a good quilt book. having good friends that are talented authors. 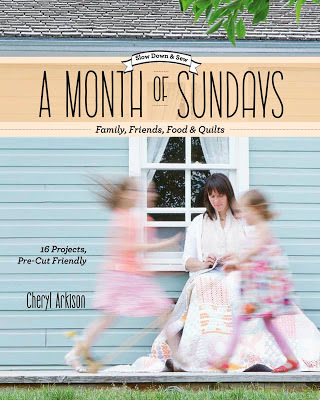 A Month of Sundays by Cheryl Arkison. The sub title says, Family, Friends, Foods & Quilts. Because I love it so much, I am going to give one away. I will post the winner late in the evening. Stop by all the other blogs on the book club hop today! Today is my day on Kathy’s blog hop. 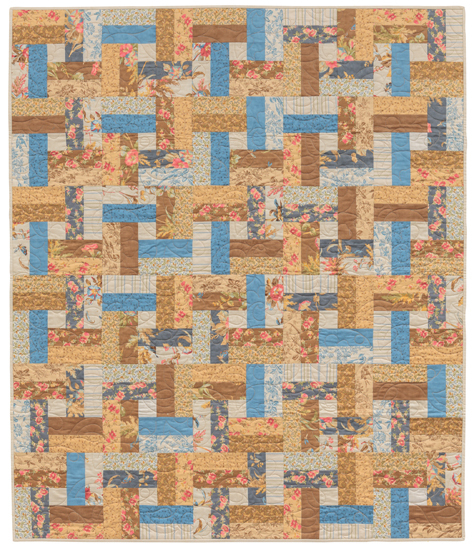 I love quilts that are repetitive graphic quilts that you have to take a second look at to see how they are constructed. My favorite from the book has probably got to be Supponsibilites. 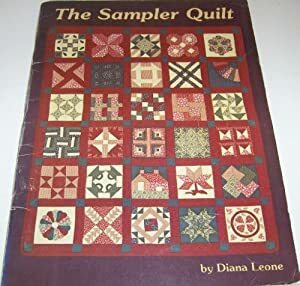 a comment and tell me how much you really want this book and that you have a jillion million fat quarters just watiting to be made into quilts. receive an E-book directly from Martingale. Be sure and check out all the stops on the blog tour to see their favorite quilt and for more chances to win. along with a bit of southern twang. so I know she won’t mind. 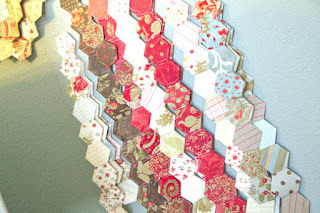 So here is the line for the blog hop. Kathy’s own words to describe her fat quarter projects. I hope you have been following along. 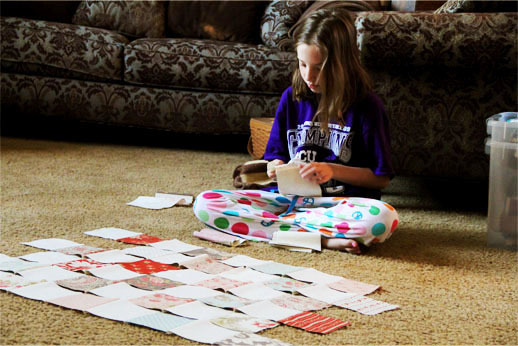 All of the following people have been sharing bits about their quilt life. Everyone is also giving away a copy of Sherri’s super duper book. All you have to do to win onw is visit each of the blogs throughout the duration of the hop. The winners will be posted on the 14th. Okay so that is the business part, on to the fun part. Sherri’s blog has got to be the most perfect name ever, right? Who among us cannot say we live the quilting life or at least dream of the quilt life. Sherri is a gentle giant working alongside so many other people. creates projects for the Moda Bake Shop and so, so much more. 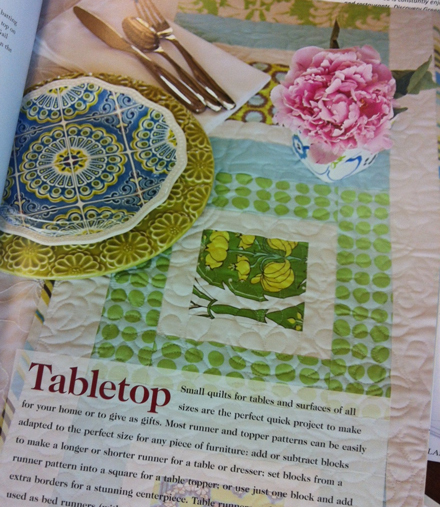 The projects and inspiration in this book range from pillows, table runners, totes, wall hangings, so there is a project for literally every aspect of your home. 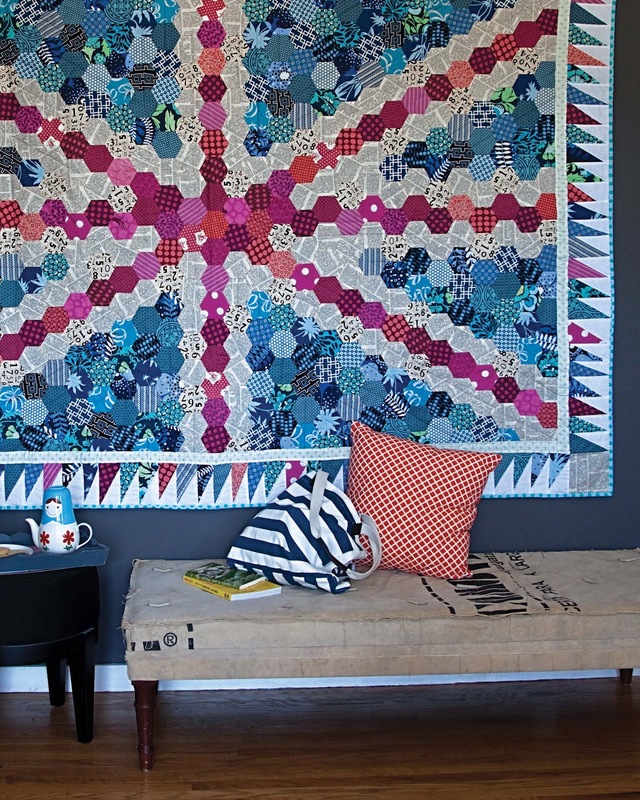 One of my favorite projects from this book is the Mod Runner. 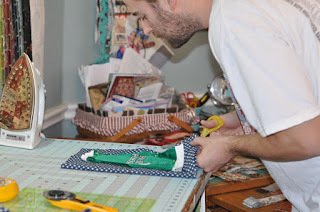 Our assignment for this blog hop is to tell a little bit about our quilting life. My quilting life began in 1980 and there is not much of my life that did not involve quilting. I am also lucky enough to have a job doing something I am passionate about. Did I say passionate, maybe I meant obsessed. Quilting is my life, I had a dream once that I got called into the Principal’s office because my son called someone a fat quarter. I did get called in at a later date for him looking up a girl’s skirt on the playground. if my grown son uses my supplies to make his dog a Dallas Cowboy super bowl outfit. I once was blamed for our foundation issues. Well after all my fabric stash was on that side of the house. 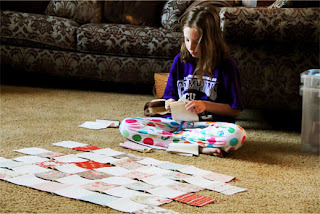 Quilting is my life…..If I use my children for human quilt hangers. Do you let people use your good scissors to cut paper? What about using a rotary cutter to cut pizza? 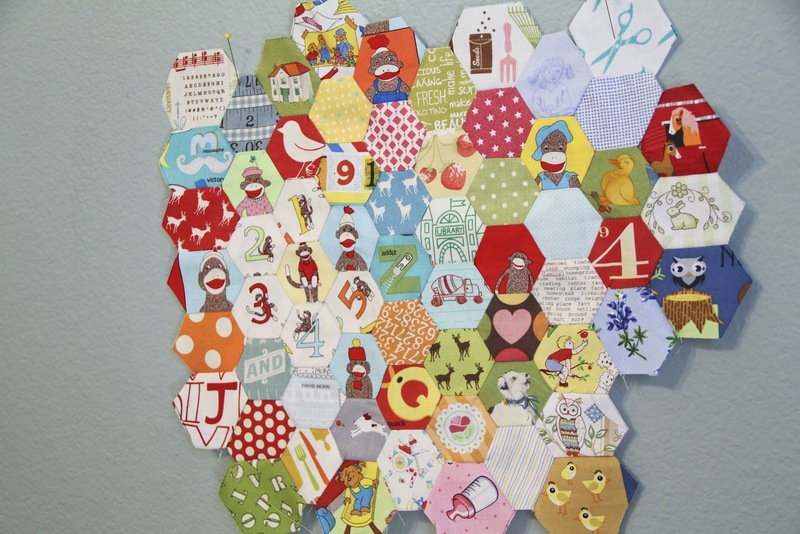 you know who you are… Quilting is my life. quilts, then quilting could be your life. There is nothing better than sharing the craft with the next generation. Sherri’s grandmother shared it with her and I hope you have the opportunity to share your quilting life. 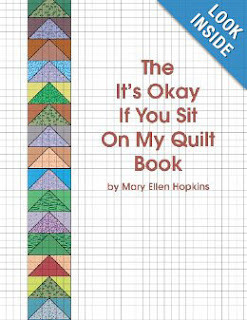 Leave a comment and let me know how one of our family members has used your quilting supplies to win one of Sherri’s books. I will also throw in a few of my favorite charm packs. The winner will be announced on the 14th. I am honored to be included in Moose on the Porch’s Book review and giveaway. Konda has done it again with Simply Charming- Mini’s. 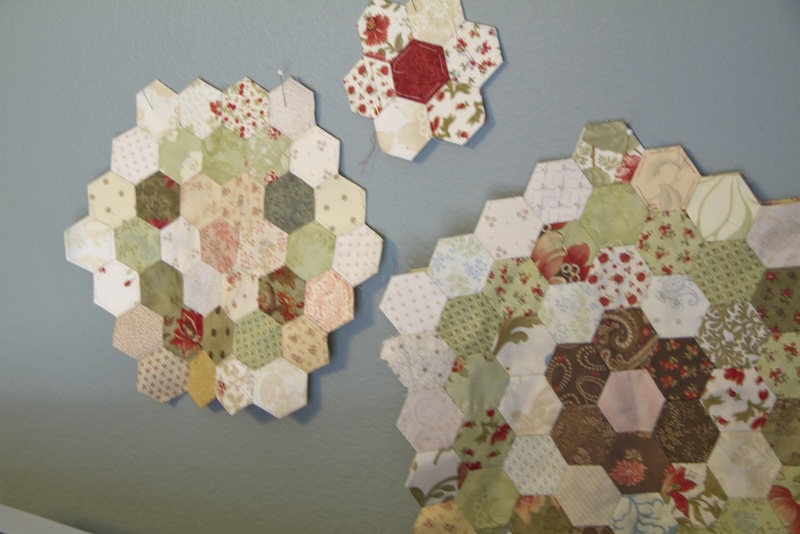 you will find a project to wet your quilting appetite. in step by step directions. SO I GOT TO THINKING! On Pinterest I saw this picture from greylustergirl.blogspot.com. She basically framed her thread rack. I have always dreamed of a wall of pictures like this but that got me to thinking, what about a wall of mini quilts? How fun would that be? I guess this would cost a bit more than new wallpaper but it wouldn’t be near as fun as making a wall of Minis! And then as the wall of minis grows, it could be a hallway of minis with studio lighting. Konda is kind enough to have offered a book for the giveaway. So leave a comment about what you could do with mini quilts and I will draw a winner at random on the 31st. Today hop on over to Emily’s blog to read more. 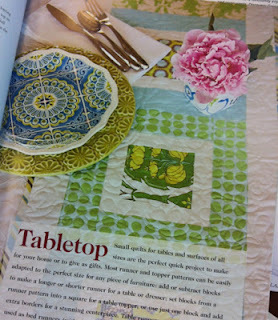 Each day visit these talented designers, bloggers, quilters, etc to read more about Konda’s book. DONT FORGET TO LEAVE A COMMENT.